Plastic pollution – such as shown here in the Grand Canyon prior to the plastic water ban – will likely now become a common scene again. In what is clearly bowing to pressure from both our infamous, uh, illustrious national leader and lobbying (as with beaucoup dollars thrown at them or the federal agency that oversees it) by plastic bottle manufacturers, the National Park Service has announced it’s lifting the 6-year ban on the sale of plastic water bottles within national parks. 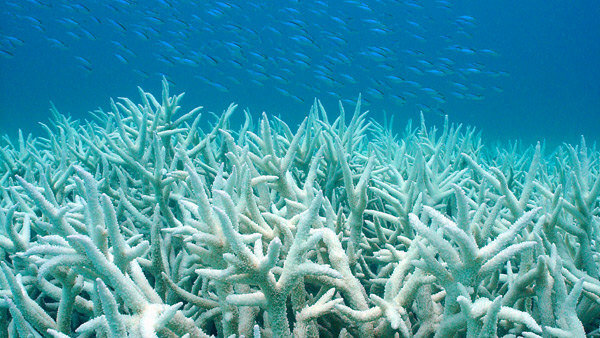 The coral reefs in our oceans are in trouble. Increasing ocean acidification and pollution are causing serious damage to these once seemingly ageless structures. But with the help of marine scientists at Key Largo’s world-renowned nonprofit Coral Restoration Foundation (CRF) and its coral restoration workshops, divers from around the world are helping transplant nursery corals into an offshore coral nursery. 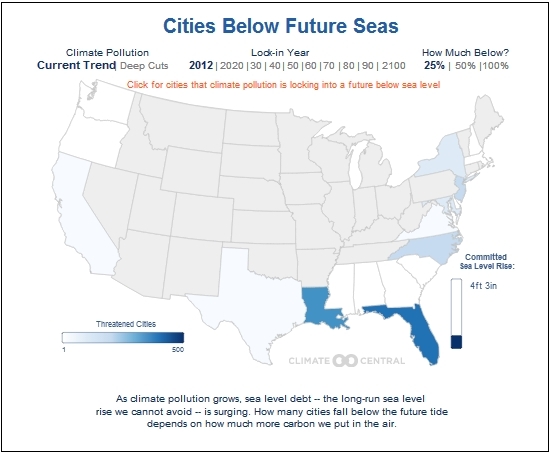 It’s one thing to read about the threat of rising sea levels to our coastal areas. It’s definitely another to see the graphic projections of what this means. With escalating food prices and growing concerns about food safety, more consumers are turning to gardening. Whether living in an apartment in a large city or a suburban home, gardening and sustainable living are becoming popular. Who would have thought that something as simple and as elegant as Victoria’s Secret lingerie could be toxic? But like so much of the rest of the fashion industry, their creations are chock full of hazardous chemicals such as phthalates and other toxic chemicals. However, a news report today says that after “urging” from Greenpeace and its Detox campaign,, Victoria’s Secret’s parent company Limited Brands and the Benetton Group have agreed to eliminate all hazardous chemicals from their supply chains and products by 2020.